She was born January 23, 1931, in Huntingburg, Indiana to William J. and Erma K. (Miller) Kaetzel; and married Leo R. Reller on September 29, 1956, in Huntingburg. Mrs. Reller worked as a bookkeeper for Dr. Williams, as a payroll clerk for Farbest Foods, as co-owner of Reller Jewelers in Huntingburg for 35 years, and as a jewelry sales associate at Carsons. 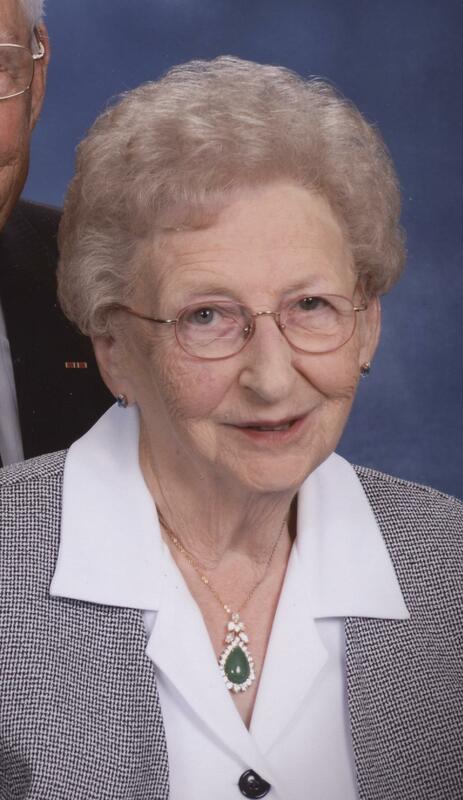 She was a member of the Huntingburg High School Class of 1950, St. Peter’s Lutheran Church in Stendal, and past president of the Huntingburg Business & Professional Women. She was preceded in death by her husband, Leo R. Reller, who passed away on December 6, 2017; and two sisters, Louella Katterhenry and infant Dorothy Kaetzel. She is survived by two children, Glenda (James) Nugent of Huntingburg and Keith (Cheryl) Reller of Prospect, Kentucky; one brother-in-law, Ralph William Katterhenry of Florissant, Missouri;six grandchildren, Justin Neal of Montgomery, Alabama, Cameron Harris of Jasper, Whitney Chamberlain of Huntingburg, Tyler Reller of Oxford, Mississippi, Braxton Reller of Prospect, Kentucky and Luke Durcholz of Huntingburg; and by four great grandchildren. Funeral services for Laurabell S. Reller will be held at 10:00 a.m., on Thursday, December 6, 2018, at St. Peter’s Lutheran Church in Stendal with Pastor Ed Wicks officiating. Burial will follow at Fairmount Cemetery in Huntingburg. Friends may call for visitation at the Nass & Son Funeral Home in Huntingburg from 2:00-8:00 p.m., on Wednesday, December 5, 2018; and also at Church one hour prior to the funeral on Thursday. Memorial contributions can be made to St. Peter’s Lutheran Church in Stendal.